It’s always exciting when a couple book me for their wedding flowers at Coombe Lodge. 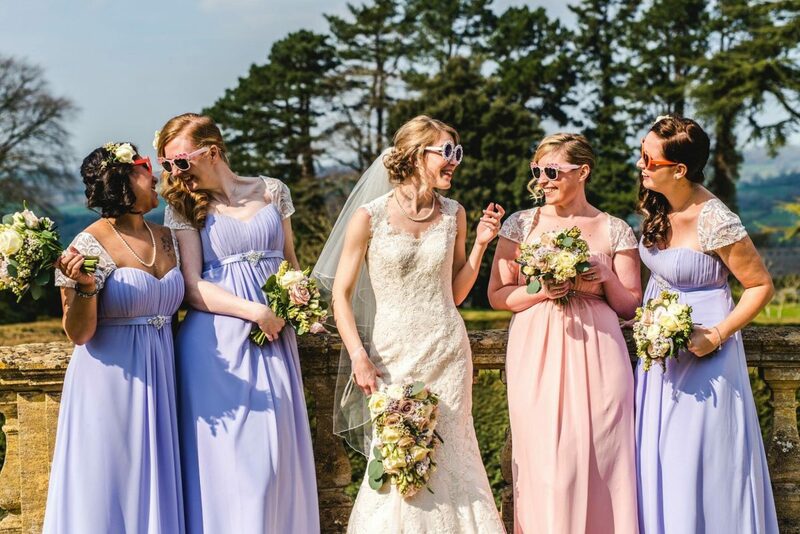 Just a short distance from Bristol, the grand manor house is surrounded by secluded gardens with stunning views across Chew Valley towards Blagdon Lake. 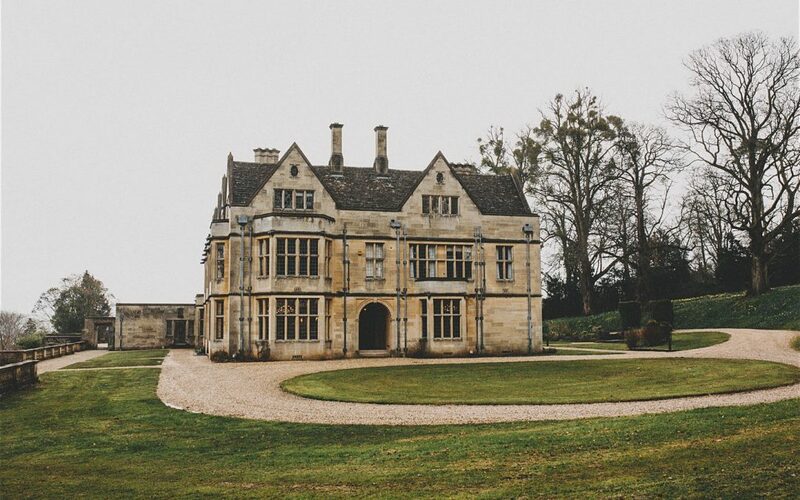 Coombe Lodge was commissioned by the Wills family, who ran the W.D. & H.O. Wills Tobacco Company in Bristol. Built between 1928 and 1932, it became their family home for over 30 years. The historic building has since been transformed into a wonderful, contemporary venue. Retaining the elegance of its past, it’s a beautiful location for a wedding. 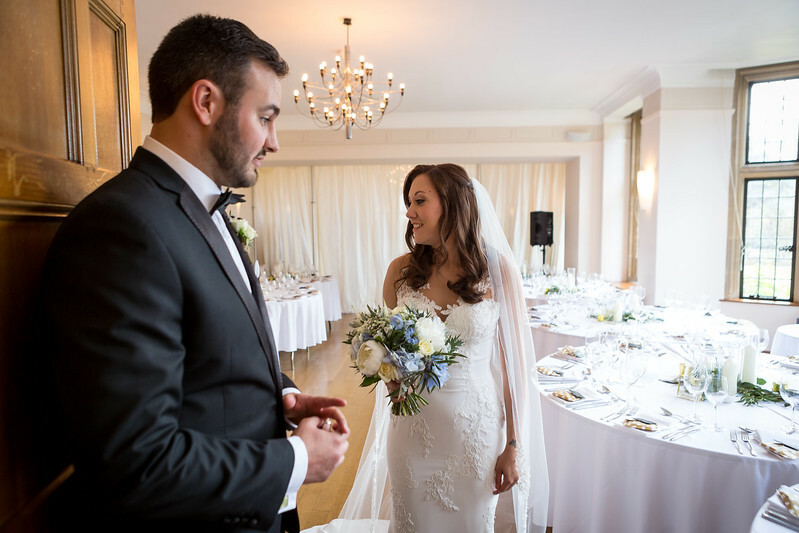 Coombe Lodge offers a choice of rooms for your ceremony. The Music Room can accommodate up to 160 seated guests while the Billiard Room is ideal for smaller weddings. If the weather is sunny, you can exchange vows outside beneath a picturesque stone archway. The natural beauty of Coombe Lodge provides a dreamy backdrop for floral arrangements. 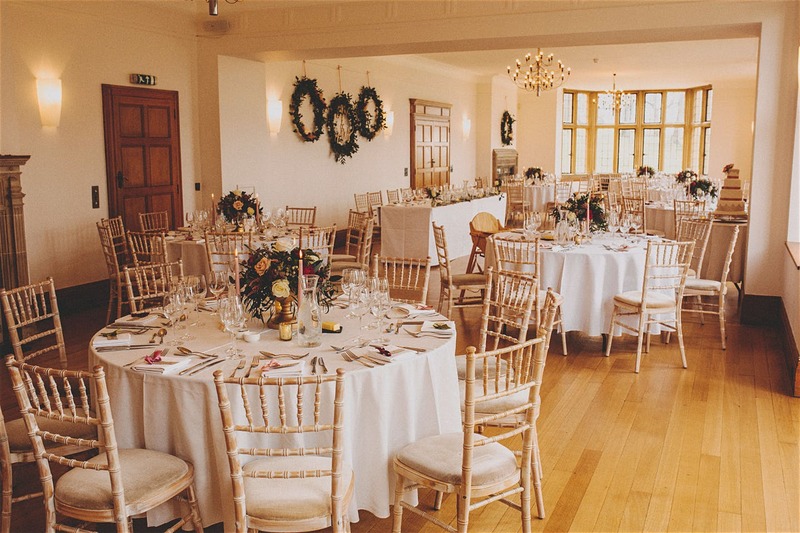 Wedding breakfasts take place in the Music Room, a bright airy space lined with windows. Due to its high ceilings, both low or tall arrangements work well. The window sills can be decorated with foliage, candles or small vessels filled with blooms. There are also two beautiful fireplaces, one of which has a mantel that’s perfect for a large garland or a mix of small vases and candles. 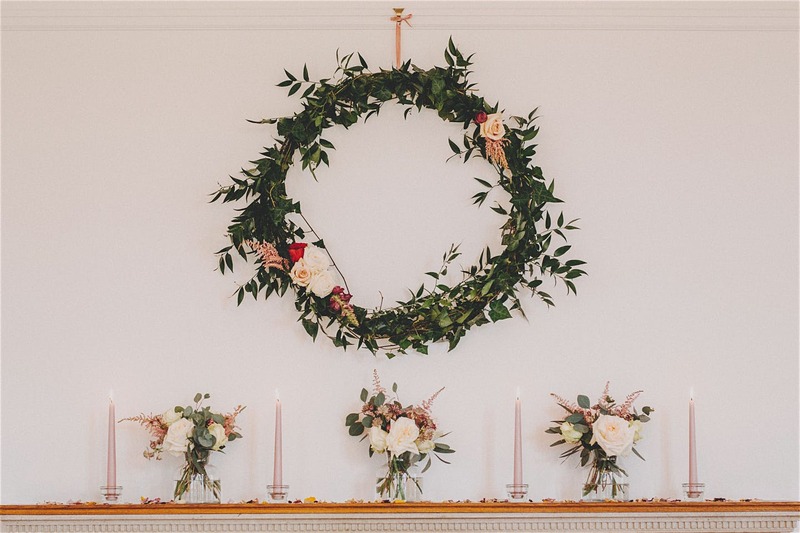 I recently designed foliage hanging hoops for a wedding at Coombe Lodge, placing three behind the top table and two smaller hoops above the fireplaces. The walls are a perfect blank canvas and hanging installations create drama and interest. I know many couples appreciate working with a florist who knows their chosen venue inside-out. 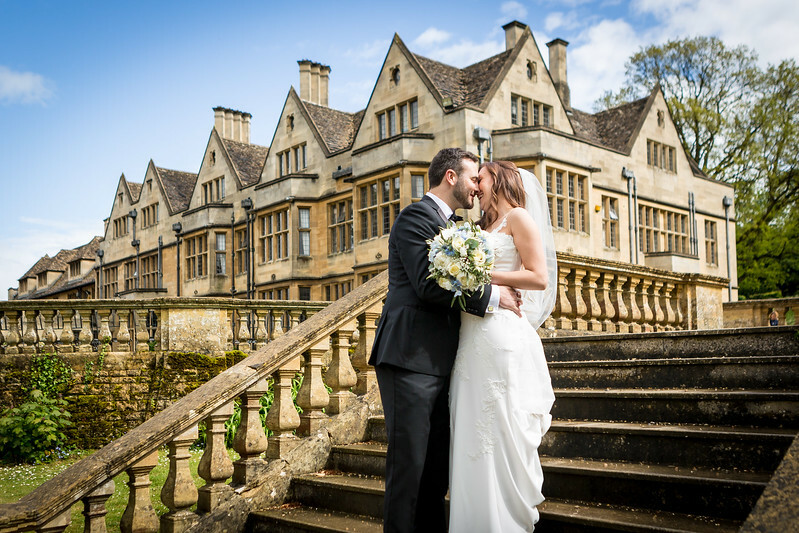 If you’re planning a wedding at Coombe Lodge, please do get in touch to discuss your flowers.